What do chocolate and clay have in common? During a visit to Santo Domingo in the Dominican Republic we joined a tour and found out that the answer is, quite a bit. We started out by leaving the coastal area of Santo Domingo and winding our way along toward the center of the island. Along the way you see a different side of life here. There are towns with brightly colored building, many with tin roofs. We saw people helping each other carry water from hand pumped wells and laughing together in front of small restaurants overlooking children playing together wearing their school uniforms as we drove along. 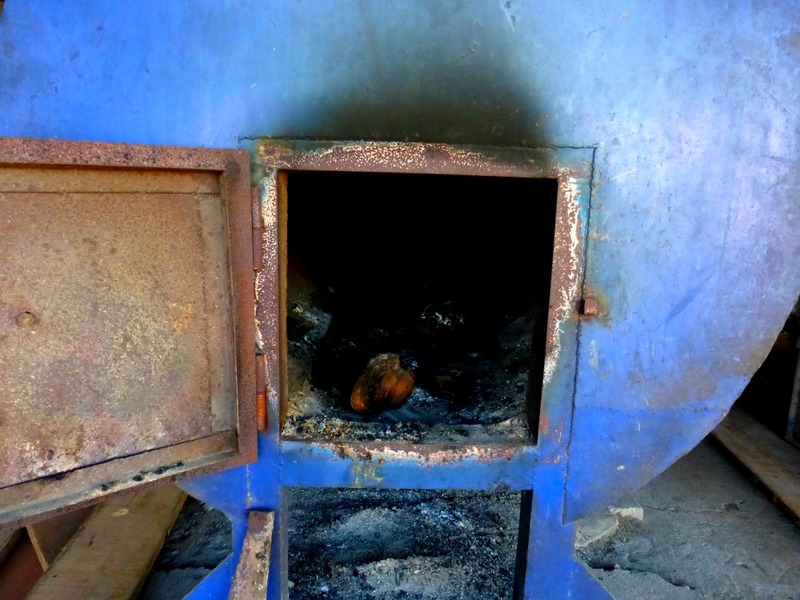 Our first stop was a visit to a cacao processing plant. 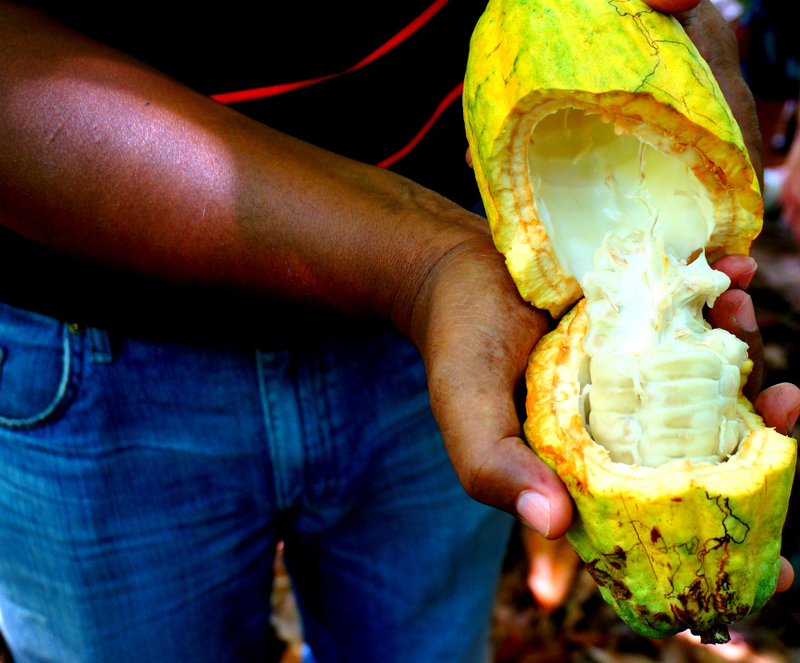 The guides explained that chocolate is made from the beans of the cocoa, or cacao, fruit. 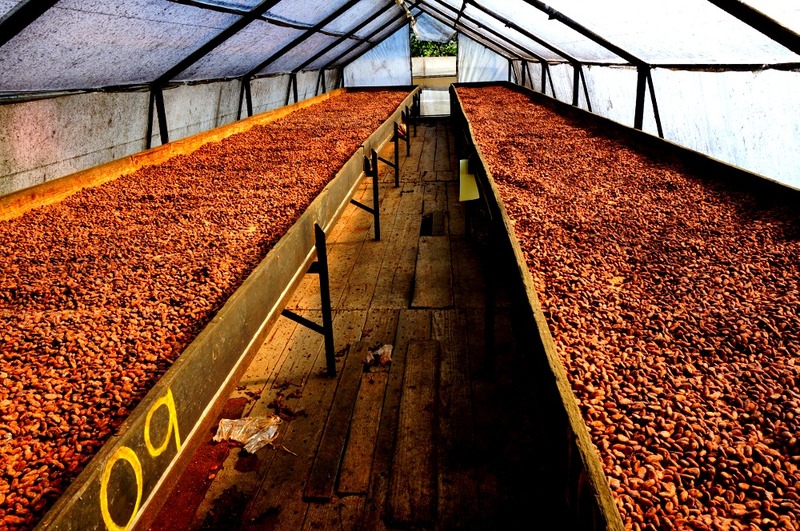 The cacao beans are extracted from the fruit, then are fermented, dried and roasted. The resulting cacao nibs are then sold to chocolate manufacturers. 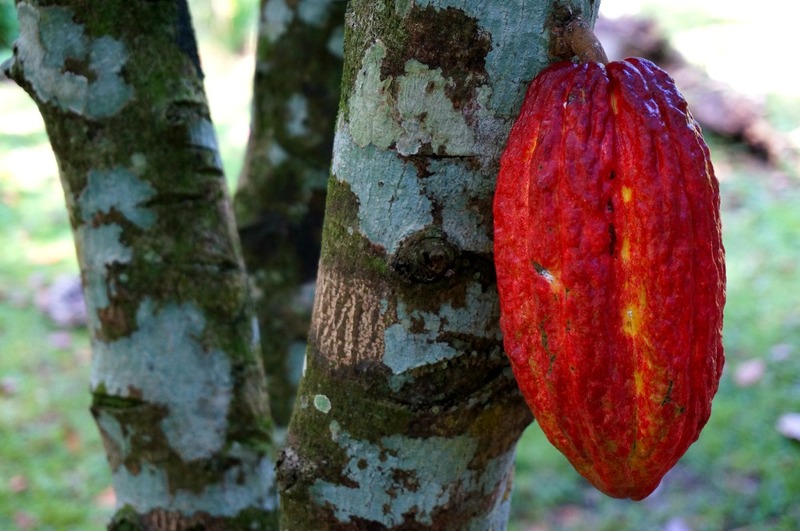 Most of the cacao produced in the Dominican Republic is exported to other countries where it is further processed into cocoa and chocolate products. The Dominicans we met pride themselves in producing an organic, fair trade product that is known for its quality throughout the world. From here we traveled a short distance to a small, working organic cacao farm owned by the Guillén family. We were warmly welcomed at the Guillén farm and provided a tour of the cacao grove. There were several types of trees producing different sorts cacao pods at various stages of development. 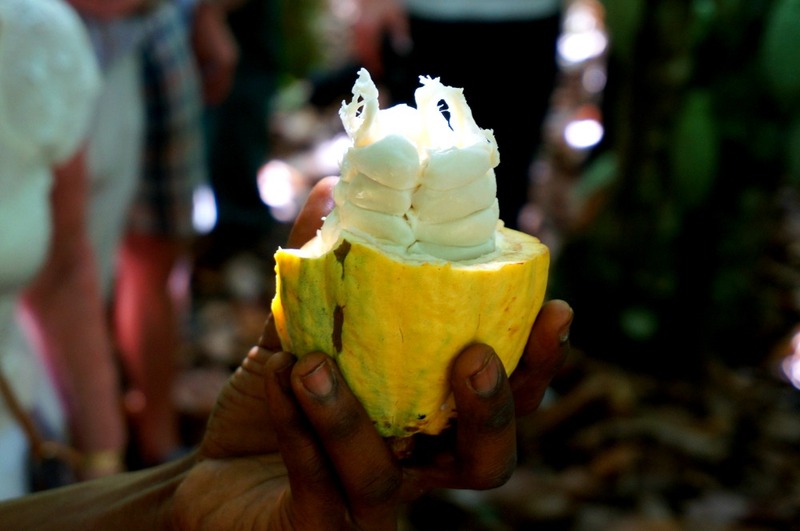 We were actually able to taste a sample of a raw cacao bean just picked from the tree – sweet but slightly slimy. 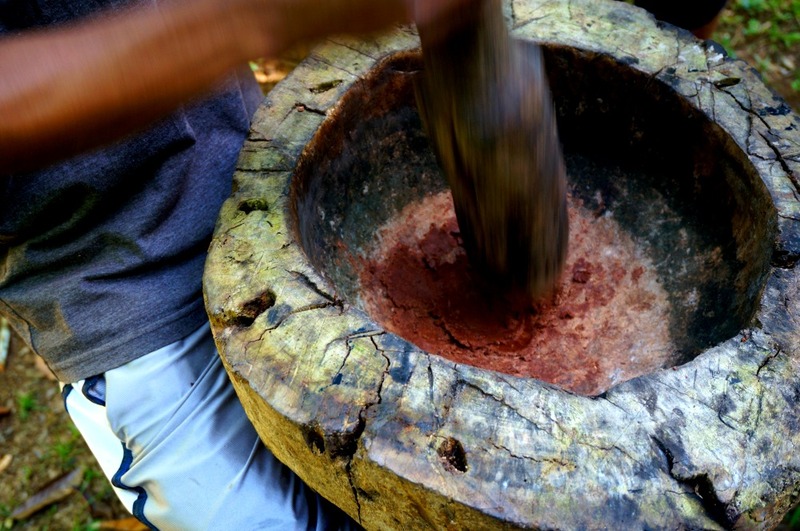 The farmers put on a demonstration showing how the beans were traditionally roasted by the original Amerindian people and then ground into a fine paste. It was mixed with hot water and brown sugar and the resulting hot chocolate drink was delicious. After finishing our drink with a slice of sweet Dominican Arepa cake (think polenta sweetened and mixed with a sprinkling or raisins) we were brought to another part of the farm to view a potting demonstration. 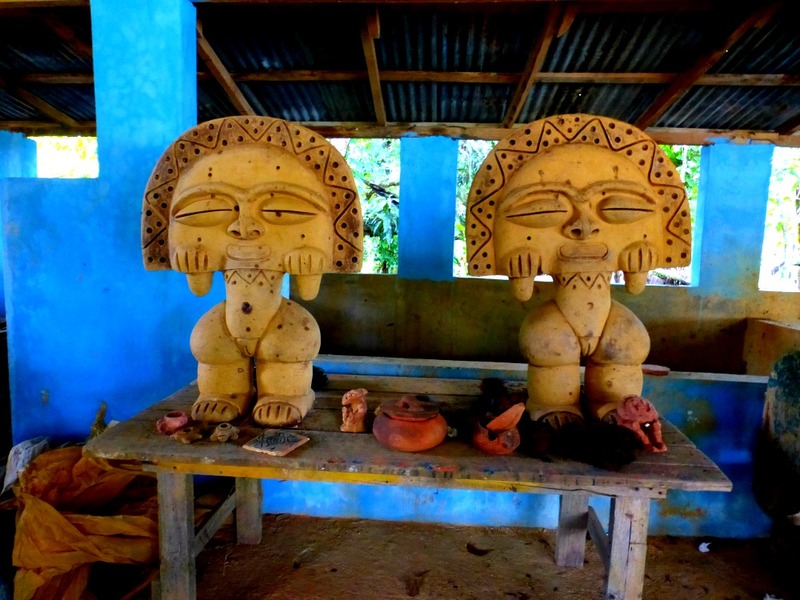 In addition to growing cacao, the Guillén family continues a tradition of pottery making handed down over the generations for hundreds of years by the original inhabitants of the island of Hispaniola, the Tainos. 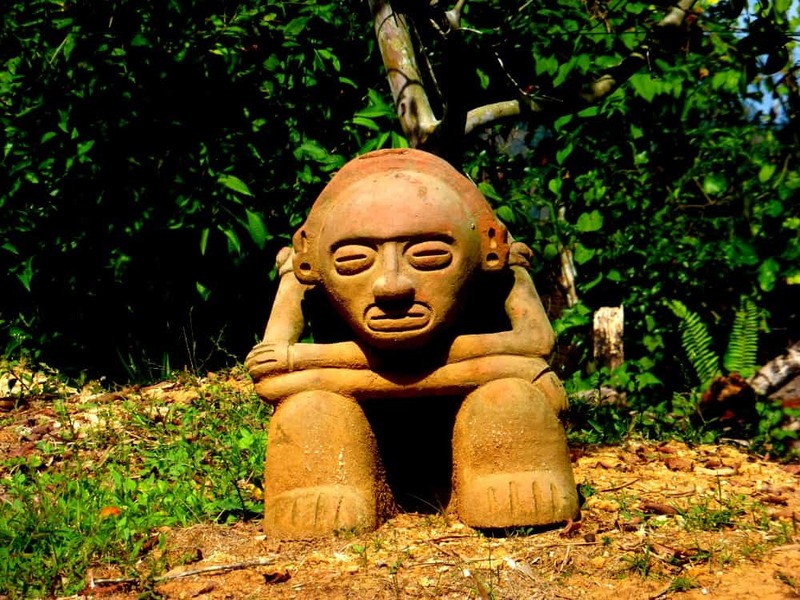 Cultivating cacao and producing ceramics out of the island’s red clay were both important activities of the indigenous Tainos prior to the arrival of the Spanish in 1492. Unfortunately the Spanish also brought along with them diseases that wiped out 90% of the Tainos who lacked an immune system capable of providing an adequate defense. 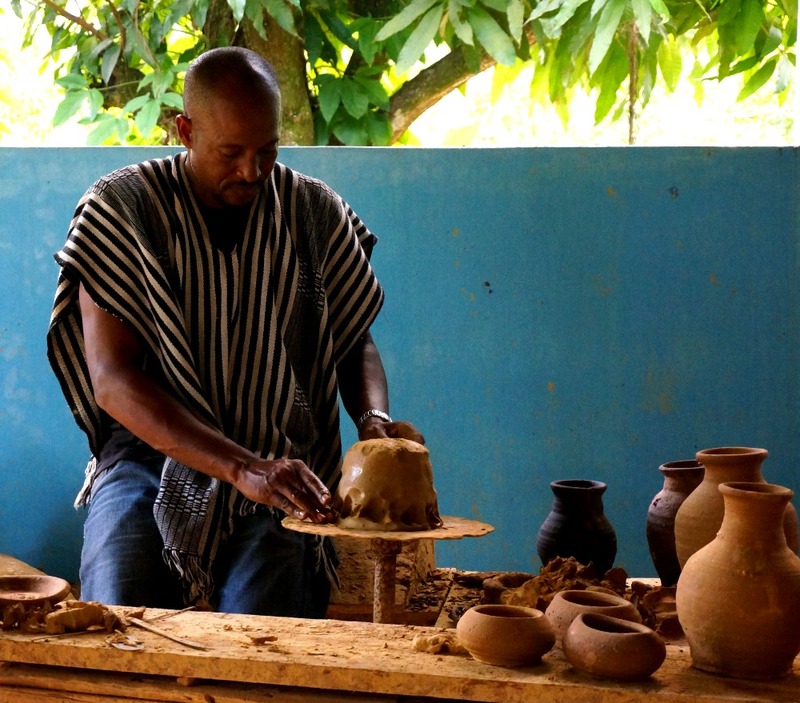 Today, the Guillén family produce ceramic products that are inspired by ancient Taino designs. The pottery had different uses and meanings that were central to the culture, and the clay allowed them to create iconic images of their gods. 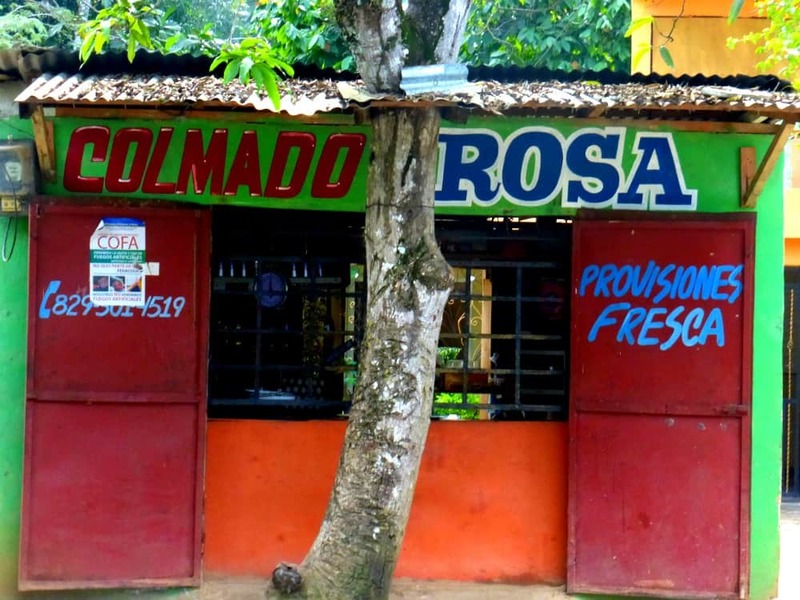 The Guillén farm not only strives to produce a green product that preserves an important part of Dominican cultural tradition, they also strive to uplift the community around them. The farm provides an educational program for local youth and employs locals in a place where employment is difficult to find. 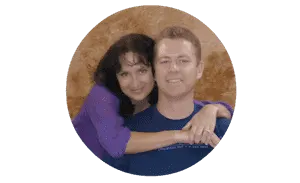 You can visit their website here for additional information. 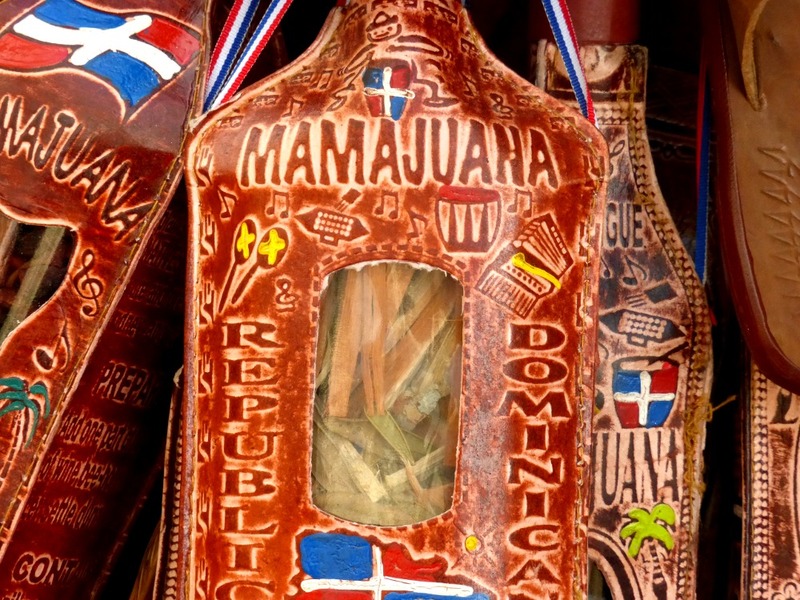 We finished the tour with a sampling of fruit and a nip of the Dominican Republic’s national drink – Mamajuana. A brew of rum, red wine and honey soaked in a bottle with herbs and tree bark. Now we have experienced the Dominican Republic! Overall the day gave us a good view of life in the Dominican Republic and its history. It was an experience for all of the senses and an inspiring look not only at some important traditions, but also at the sense of community in this place where the scenery is beautiful but the obstacles are abundant. You can find more information about this tour and other Santo Domingo experiences by contacting Tequia Experiences. Disclaimer: We were provided this tour by Tequia Experiences and Iberoservices but our opinions and our experiences are our own. Oh my gosh! How fun is that! It looks like you guys had a cultural and a foodie experience. LLLOOOOVVEEE! 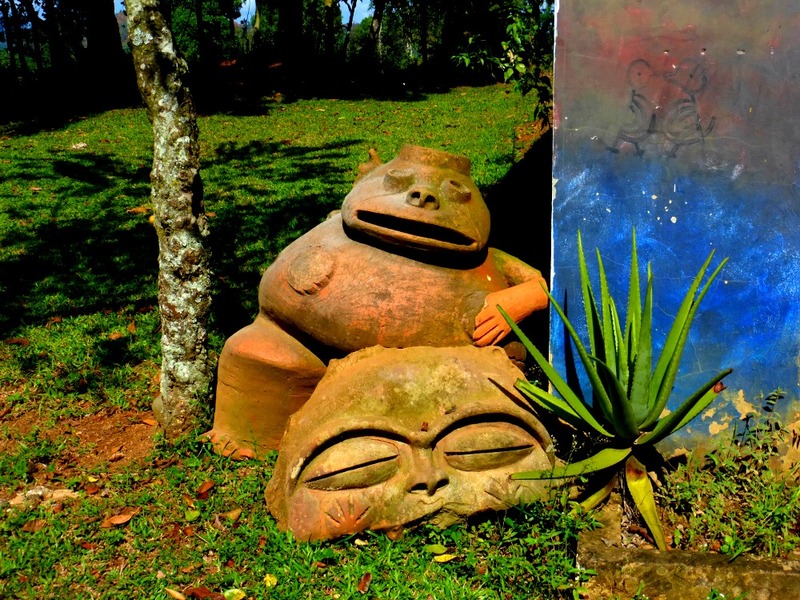 Knowing the farm is fair trade, and continuing traditional art, is very uplifting to read. So many places seem over run with global invasive culture. I hope to hear about more of these type of tours. Wow, what a great insight into something we take for granted everyday, never knew they looked like this in their raw form. It’s wonderful you got to see so much of the real culture, great photos too. Wonderfully insightful read. I love those colorful photos! Thanks for sharing, it’s a great read. Thanks for the nice comment! It was a fun day – glad you liked the post.